Home / Health Insurance Company Reviews / Unione Italiana Health Insurance Company of America Inc.
Unione Italiana Health Insurance Company of America Inc.
A search of Unione Italiana Health Insurance Company of America Inc. results in Unione Italiana Reinsurance Company of America, Inc. Unione Italiana is a part of the National Indemnity Company. They sell property and casualty insurance in the commercial sector in most states in the U.S., as well as reinsurance to other insurance companies. Enter your zip code now to get health insurance rates that fit your life. Both companies are part of the Berkshire Hathaway Group. Berkshire is a multinational holding company chaired by business magnate Warren Buffet. Berkshire owns a myriad of businesses and companies that deal in insurance to utilities to retail. The company was founded in 1978 in New York. In 2006, the company moved its headquarters from New York City to Woodbury, New York. The next year it moved again to Flushing, New York. 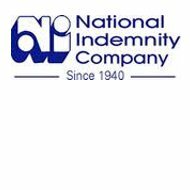 Its headquarters are now that of the National Indemnity Company in Omaha, Nebraska. Unione Italiana offers property and liability insurance for businesses and companies to cover a company’s risks to safeguard the profitability of that company. The coverage for automobiles covers liability, physical damage, uninsured and underinsured motorist coverage (UM and UIM) and medical coverage. Commercial trucks such as 18-wheelers, hazardous commodity haulers, tankers, and tow vehicles can receive coverage from the company with additional cargo and in-tow coverage to cover damages to hauled merchandise or towed vehicles. Medical transportation vehicles that are often utilized in times of emergency or crisis, such as ambulances, fire trucks and police vehicles can also get coverage through the company. Liability and medical expense coverage can be purchased to cover a single event. Lastly, the company offers prize indemnification to cover large prizes such as a hole-in-one, half-court basketball shot or record-size fish catch prize offered by golf courses, arenas and other entities. Unione Italiana’s parent company, National Indemnity, has a high financial rating by A.M. Best. A.M. Best is a Nationally Recognized Statistical Rating Organization (NRSRO), authorized by the US Securities and Exchange Commission to assess the financial strength of insurance companies. A.M. Best rated National Indemnity at an A++, or Superior, in 2011. The “++” indicates that the company has a very good chance of increasing the rating to AA or AAA. The rating indicates that the company has the financial strength and credit to honor the insurance the company has underwritten. Standard and Poor’s, another NRSRO, also recognized the parent company of Unione Italiana as being on very strong financial footing. They rated National Indemnity at an AA+, or Very Strong, for both financial strength and issuer credit in 2010. Again, the “+” shows that the company will likely improve the rating in the future. Standard and Poor’s believes that National Indemnity will be able to honor its financial commitments. Fitch Ratings, yet a third NRSRO, is in agreement with its contemporaries with an AA+, or Very Strong, rating for National Indemnity in 2011. An email address to reach the claims department is [email protected]. A separate number for GEICO customers is 866-920-5459. Insert your zip code to find a health insurance quote right away.